I’m from Oxford, born and bred. Left the city at 18 and went to live in Newcastle upon Tyne for ten years. I think it was Ian Brown who said “Its not where you’re from – it’s where you’re at” – or some such. I’m 51, i have lived in the North for 23 years, roughly half of the years I can remember and most of my adult life. I lived in Bristol for three years and New Zealand for five months. When did you first realise you had a gift for writing? About a year ago. Honestly. I find writing hard. I did not learn to read until I was eight years old. But I have things I want to say. In books you can say what you want to say in a way you can’t do when writing academic papers (I used to do a lot of those). Are there any particular catalysts which set you off on a writing binge? Working with a lovely group of people in Bristol, 1996-1999 where we met in pubs and wrote books together. We ignored what the university wanted us to do and just did what we thought we should do – but in our spare time.Two of the three (Dave Gordon and George Davey Smith) were older than me and had an idea of what they were doing! The younger one, Mary Shaw, could actually write properly, which did help – and she was enthusiastic and very thoughtful. I say younger as she was about six weeks younger than me I think! She now teaches. When you are authoring a book, how meticulous is your research? Meticulous with the data, but not with the reading. I do read a lot. I skim read a book a day (on average) and I seriously read a book every two weeks. My room at work is full of books, thousands. I get sent a lot for free and it feels like a crime not to read them. But there is so much you could read that I always feel inadequate over having not read enough. Usually my co-authors are better read than me. With the data – there basically is no excuse for making a mistake as often what I do with data is quite easy. And I am a bit obsessive about not making a mistake. Most of my books are full of diagrams which I usually put up for free on the web, for example these are the ones in Rule Britannia. You’re stranded on a desert island for an indeterminate amount of time with only three books – what would they be? Definitely not the bible. I was made to read that in Sunday school (which I hated as a result as I had only just learnt to read). And no Shakespeare. I was made to read (some of) that later at secondary school. Having to read Shakespeare at school made me appreciate maths, not English. As I would have a lot of time I’d choose some books I would never otherwise read – a translation of the Buddhist Diamonds Sutra or some book like that, although I would probably regret that pompous cerebral choice as I would already be bored; then possibly something I really should have read and never have – anything by Jane Austin ( a collected works? ); and then a book on how to make the perfect sandcastle on the island’s beach (which would, of course, be washed away with each tide each evening). You have recently releas’d ‘Rule Britannia’ – can you tell us about the book? I have just emailed you a PDF – have a look. It’s an attempt to try to work out why the UK is now very odd. The first EU country to try to leave the EU is the UK; possibly the last to try to leave for some time. Sally and I try to work out – why us? Why are we strange? Why don’t we know we are strange? Just how strange are we? And so on and on. What is the state of social inequality in Britain in 2019, & how has it changed since the occasion you first became concern’d? I was probably first concerned when at school; but more so since. It has got worse. 2018 may have been the year of “Peak Inequality” in the UK (but then I would say that as I published a book with that title. As house prices fall in much of the south of England in 2019 wealth inequality falls slightly. People hardly notice. It is a little like how 1920 was a little more equitable than 1919. Few people noticed then that we were just beginning to become more equal. But, of course things are also getting worse. Two people who went to my school died when homeless in Oxford at the start of this year (2019). They were both younger than me. You don’t expect children in your school to later die in the city they grew up in for want of a home. How did you find working with Sally Tomlinson? Lovely. She doesn’t worry. I have not met anyone who worries less than Sally. The book has a message of hope – can you condense that message into a single paragraph? A single sentence: When the old and those in charge make a big mistake, as they did in the UK by taking the country to war in 1914, and as they did with the Suez crisis, and as they will again some day, the young see that the old and those in charge are fallible – and start to both demand and secure a better future. 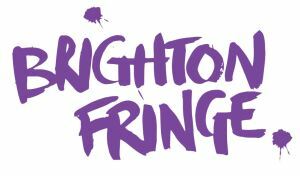 You will be giving a talk on the book at the Brighton Fringe, how did you get the gig? I didn’t know it was the Fringe. I just knew it was in Brighton. A friend, Mike McCarthy, got it me. What are your own thoughts on that romantic, seagirt city? It’s where a Prince of Wales had to go to get his leg over and get inebriated in peace – I think that is the first thing that comes to mind. What does the rest of 2019 hold in store for Danny Dorling? A lot more talk to people about Brexit; and listening. I’m sick of the sound of my own voice – but I think Brexit is really interesting – so I ask people what they think again and again over time – and I listen to the answers changing over time and – I think – a country, this country (England), is slowly coming to see itself differently. Brexit is knocking the brass off and exposing the bigotry fr what it is. Later, in 2019, at some point I get to make some sandcastles on a beach somewhere (Brighton beach is terrible for that – no sand). And I am working on a new book called ’slowdown’ – slowly.